A World Transformed is a 1998 book (ISBN 0-679-43248-5) by former President George H. W. Bush and Brent Scowcroft, Bush's National Security Advisor, documenting foreign relations during the Bush administration. While we hoped that popular revolt or coup would topple Saddam, neither the U.S. nor the countries of the region wished to see the breakup of the Iraqi state. We were concerned about the long-term balance of power at the head of the (Persian) Gulf. Trying to eliminate Saddam, extending the ground war into an occupation of Iraq, would have violated our guideline about not changing objectives in midstream, engaging in "mission creep," and would have incurred incalculable human and political costs. Apprehending him was probably impossible. We had been unable to find Noriega in Panama, which we knew intimately. We would have been forced to occupy Baghdad and, in effect, rule Iraq. The coalition would instantly have collapsed, the Arabs deserting it in anger and other allies pulling out as well. Under those circumstances, furthermore, we had been self-consciously trying to set a pattern for handling aggression in the post-cold war world. Going in and occupying Iraq, thus unilaterally exceeding the U.N.'s mandate, would have destroyed the precedent of international response to aggression we hoped to establish. Had we gone the invasion route, the U.S. could conceivably still be an occupying power in a bitterly hostile land. It would have been a dramatically different--and perhaps barren--outcome. 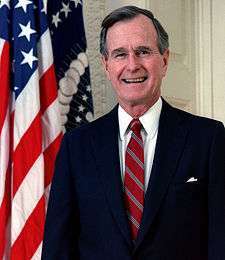 Booknotes interview with Bush and Scowcroft on A World Transformed, October 4, 1998.